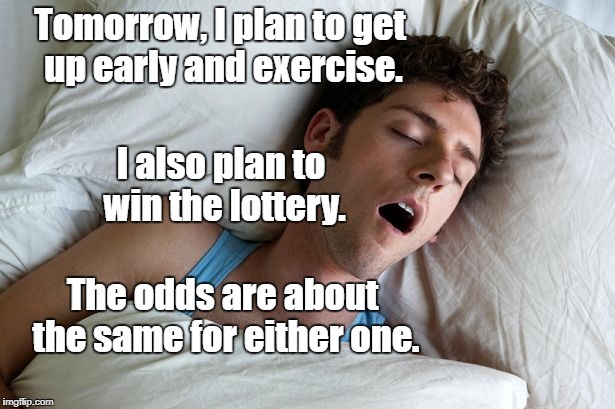 Tomorrow, I plan to get up early and exercise. I also plan to win the lottery. The odds are about the same for either one.